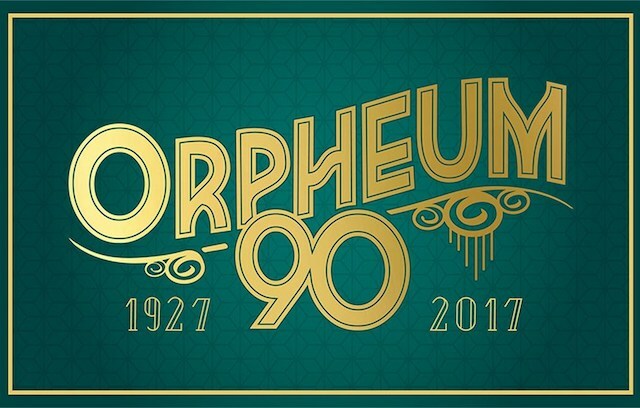 The historic Orpheum Theatre is celebrating 90 years in style with a 1927 themed party hosted by Bill Richardson & Maestro Bramwell. Presented by Vancouver Civic Theatres (“VCT”) in partnership with the Vancouver Symphony Orchestra (“VSO”), guests will experience live entertainment honouring the Orpheum’s beginnings, including a taste of vaudeville from local acts and silent film classics accompanied by the Mighty Wurlitzer and grand piano. 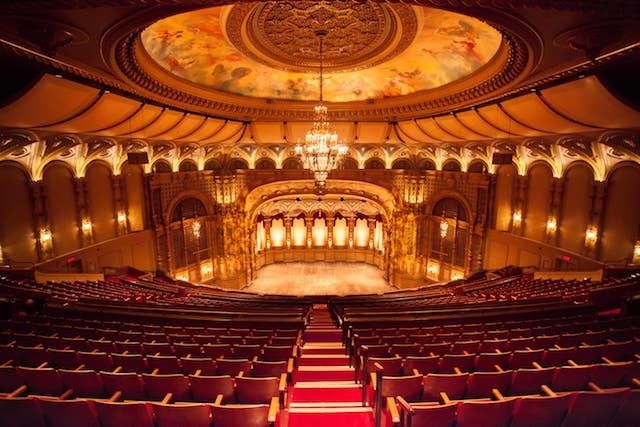 Masters of Ceremonies, author and former CBC radio host Bill Richardson and Vancouver Symphony Orchestra Maestro Bramwell Tovey, will paint a picture of the Orpheum’s history, and set the stage for guests to party like it’s 1927. Walk the red carpet in your 1920s attire. A tribute to the Orpheum’s silent film and vaudeville days. Three cheers for the end of prohibition! Have a slice of birthday cake, imbibe in 1920s inspired provisions, practice the Charleston to our live brass band, and head over to our photo booth to capture the moment. Practice the Charleston to a live brass band, and head to the photo booth to capture the moment. Attendees are encouraged to dress-up for a 1920s red carpet entry; prizes awarded for best costumes. Party with friends, or make it a date night to remember! I will draw one winner at random from all entries at 12:00pm on Monday, November 20, 2017. Follow Vancouver Civic Theatres on Twitter, Instagram, and Facebook for more information. Update The winner is Tara! Love the Orpheum theatre. Would be great to go to the party. Took the kids there last year for Raiders last November. We had a blast! Would love to go back after many, many years. High school graduation. One of my favourite decades! Sounds wonderful. My favourite venue in Vancouver. Happy birthday Orpheum! Oh, was there for an event recently and seen many stuff there including Mama Mia. Would love to be there at this historic event. Love the 20’s, The Orpheum and THIS will be so FUN! Whoa. This sounds like a fun! It’d be pretty cool to see everyone dressed up at this event. Getting ready to be dressed-up for a 1920s red carpet entry!! Thanks! Sounds like the cat’s pyjamas. I’d love to go! Would love to take my bestie who will be visiting from out of town! I love an excuse to wear a glittery headband and lots of sparkle! Sounds like an amazing evening. We love the Orpheum Theatre. 💜 Thanks. I have never been in the Orpheum…would love to see it. I have always wanted to check the Orpheum out. The interior looks amazing! Happy Birthday Orpheum theatre!! Want a fun night this would be! Let’s do a time-wrap and enjoy the past! This sounds like crazy good fun! A party would be swell..Chute, chute! Happy birthday! Very elegant place – would love to go. Would love to attend – such an elegant venue. i’m from the squamish nation and would proudly wear my traditional regalia to this event! 😀 please pick me! huy chexw aa! It like a time machine. Would love to be able to go. Thank you! I have my flapper dress complete with pearls and elbow length gloves all ready to wear! A great flapper ’20s party!!! Just booked tickets to a VSO performance at the Orpheum for the following night, but this sounds like a great event!